In honour of Archives Awareness Week (April 1-7), Ingenium is highlighting a few gems taken from our digital collection. The Canada Science and Technology Museum’s Library and Archives holds more than 40,000 pieces of trade literature, dating from the mid-1800s to the present. This collection consists of any type of printed material published by a company or manufacturer to promote sales of its products, including technical and repair manuals, catalogues, parts lists, price lists, advertisements and sales brochures. We are currently working on scanning the covers of interesting examples from this collection, and publishing them to the Digital Archives portal — the first selections are already available online. Father and son looking at the lawn mowers from Ingenium’s collection on display in the Technology in Our Lives gallery, November 2017. Examples of trade literature from the Canada Science and Technology Museum Library’s collection are visible on the panel. Trade literature plays an important role in exhibitions here at Ingenium’s three museums. Colourful or quirky covers can provide visual context for artifacts, and help illustrate exhibition themes. Examples currently on display include advertisements for washing machines, mowers, and televisions in the Canada Science and Technology Museum’s Technology in Our Lives gallery, travel brochures in Steam: A World in Motion, and a vibrant Canadiana display in Artifact Alley. Trade literature is a rich source for researchers seeking artifact specifications and material history information, as well as for understanding the conditions in which technologies were invented, used, and promoted. To bring attention to this amazing collection, it’s important to digitize and make them available outside of the walls of our library in Ottawa. As part of this work, we are digging into copyright research; this is something that’s particularly challenging when it comes to trade literature. Materials used to sell a product are not "published" like a book, or credited to an artist like a painting on display. Works like this seed catalogue from 1929 were created as functional (although often attractive) tools. It’s not always possible to determine who actually owns the content, who created it, or if it is still protected under Canadian copyright law. In this example, the cover art is not signed or credited to an artist, and the company is no longer in business. Determining who owns the intellectual property rights to the publication as a whole, as well as to the artwork on the cover, would require access to the company's business records (if they exist), and for them to have specifically recorded the name of the artist. Does the company still exist? In this case, no, according to records held at the University of Guelph Library, Kenneth McDonald and Sons Limited was an Ottawa-based company that was in business between 1876 and 1966. If the company did still exist, then we could contact them for further information on rights and the artist. Is the artist or author known? In this case, no. The company has not recorded the name of the artist for the cover art in the catalogue. Has at least 90 years passed between publication and the current date? In this case, yes. 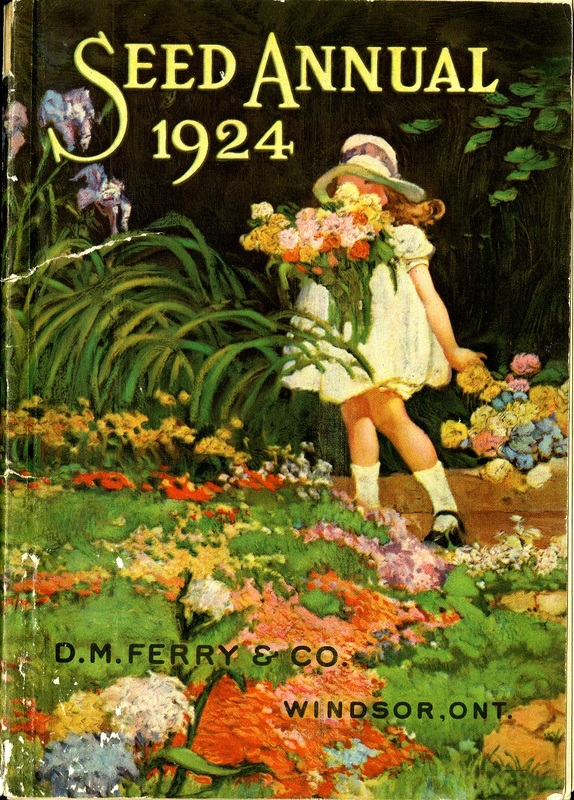 This catalogue was published in 1929. Ninety years is a rule that many archival institutions follow, as it is likely to allow for a period of 50 years to have elapsed from the death of the work's creator, which is the term of Canadian copyright. For this catalogue, we believe it to be in the Public Domain — but we cannot say this with absolute certainty. We have chosen to publish the image on our Digital Archives portal for researchers and the public to view, but we do not certify that it can be reproduced without risk. There are many examples such as this in the collection, and each represents a unique challenge. We will continue to release more pieces as we advance with our copyright research. To see the originals, please contact library@IngeniumCanada.org to plan your visit. All trade literature is catalogued in our Library Catalogue. Catherine Campbell is a Librarian at the Canada Science and Technology Museum Library. She gets great satisfaction from her responsibility for the trade literature collection as well as managing the integrated library system. She has a B. Mus. from Queen’s University in Kingston, Ontario, and a MLS from the University of Western Ontario.